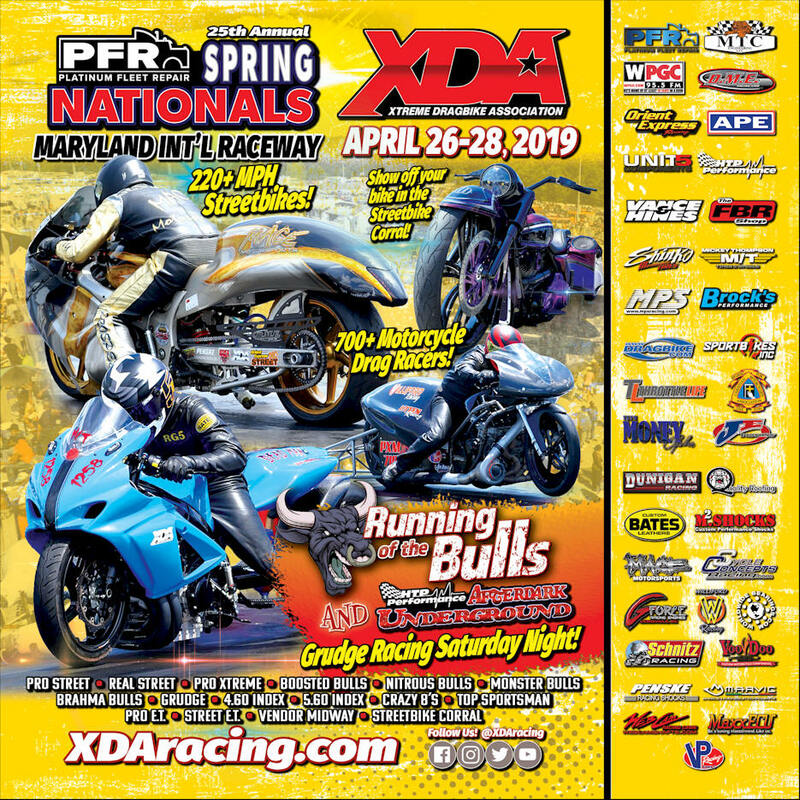 The XDA kicks off the season at Maryland International Raceway located in Mechanicsville, Maryland with the 25th annual PFR Spring Nationals and Awards Ceremony on April 26-28, 2019! The event features the Orient Express Pro Street class that run speeds over 220 mph in only 6-seconds! 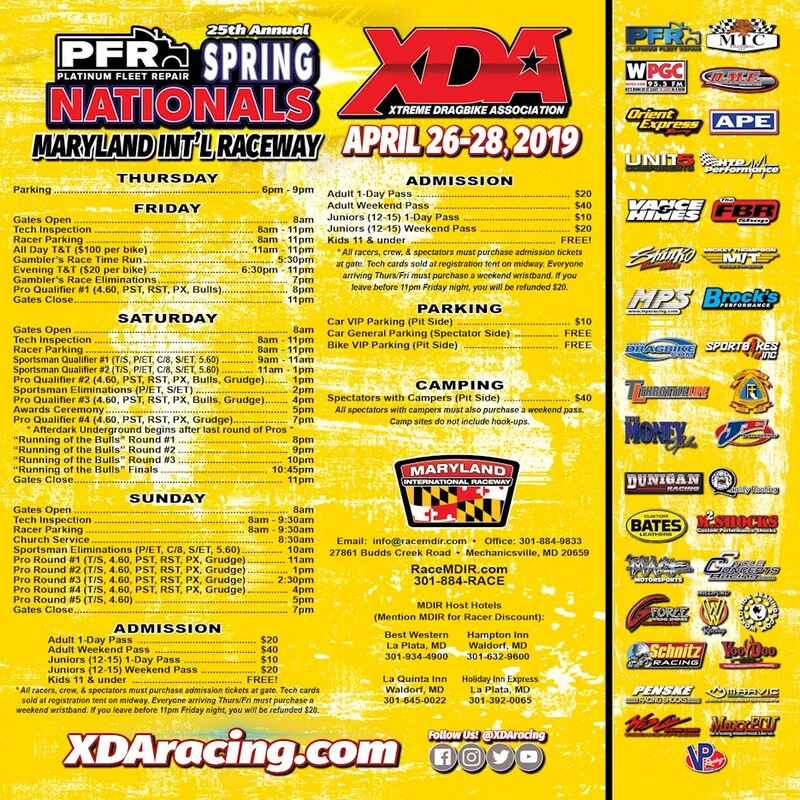 Over 700 Professional, Sportsman, and Grudge motorcycle racers will also be in competition all weekend long, battling it out for over $40,000 in cash purse at this event. And don’t forget the vendor midway will be full of great deals on motorcycle parts, accessories and apparel. We will also hold the Awards Ceremony on Saturday afternoon on the main stage to celebrate the 2018 Champions and the Top 10 finishers in each class. Plus, $1,000 in cash prizes courtesy of Platinum Fleet Repair will be given out at the Awards Ceremony that anyone in attendance during the ceremony has a chance to win. Then on Saturday Night, the HTP Performance Afterdark Underground Grudge Program will start after the last round of Pros and will feature the “Running of the Bulls” Grudge Shootouts and all the Grudge Racing you can handle! 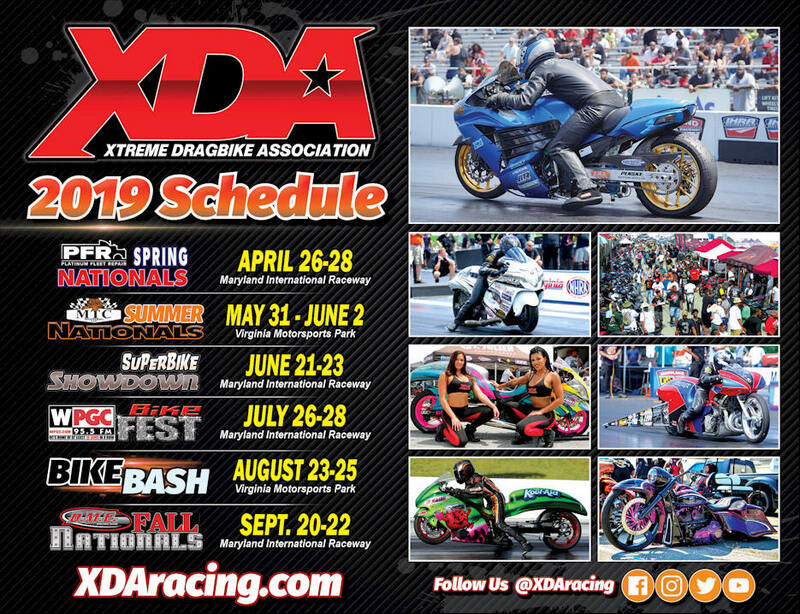 All racers, crew, and spectators must purchase their admission tickets at the gate. An adult weekend pass is $40, or an adult 1-Day pass is $20. A Junior (12-15) weekend pass is $20, or a Junior 1-Day pass is $10. Kids 11 & under are FREE! Tech cards will be sold at the registration tent on the vendor midway. 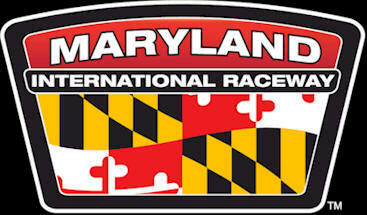 All racers, crew, & spectators must purchase admission tickets at gate. Tech cards sold at registration tent on midway. Everyone arriving Thurs/Fri must purchase a weekend wristband. If you leave before 11pm Friday night, you will be refunded $20. All spectators with campers must also purchase a weekend pass. Camp sites do not include hook-ups.